Something is terribly wrong with our schools. How did a place that should be a sanctuary for kids becomes a source of fear and intimidation? What has happened? In Creating Emotionally Safe Schools, Jane Bluestein offers a plan to return schools to havens of nurturing and learning. She examines environmental, historical, developmental, psychological, sociological, interpersonal, instructional and administrative factors that contribute to the emotional climate of an educational institution. This is a comprehensive view of what makes a school feel the way it feels, and what we can do to make it feel safe for every child-and every adult-who walks through its doors. 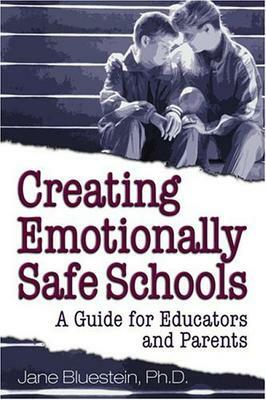 Emotional safety has many dimensions, such as: the impact of the family and early development, childhood stress and coping, the changing role of the school, acceptance and emotional support, respect and belonging, temperament and labels, gangs and violence, instructional strategies, learning styles and multiple intelligences, teacher training and support, and the inherent need for a sense of community. The message Jane Bluestein brings is positive: information, programs and solutions are available that can ultimately make our schools inviting, inspiring, and, yes-safe.